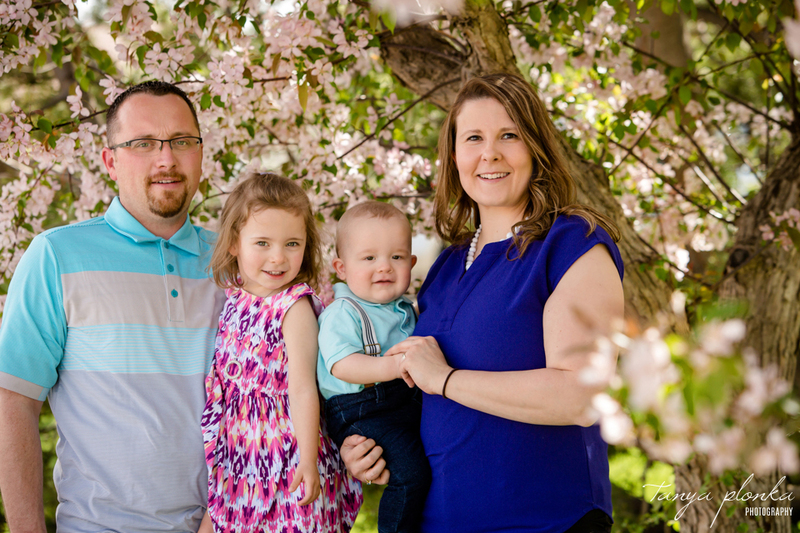 The last time I photographed Jennifer and David’s family, it was just the three of them with Kalina. This time we had four with their newest family member, Erwin! 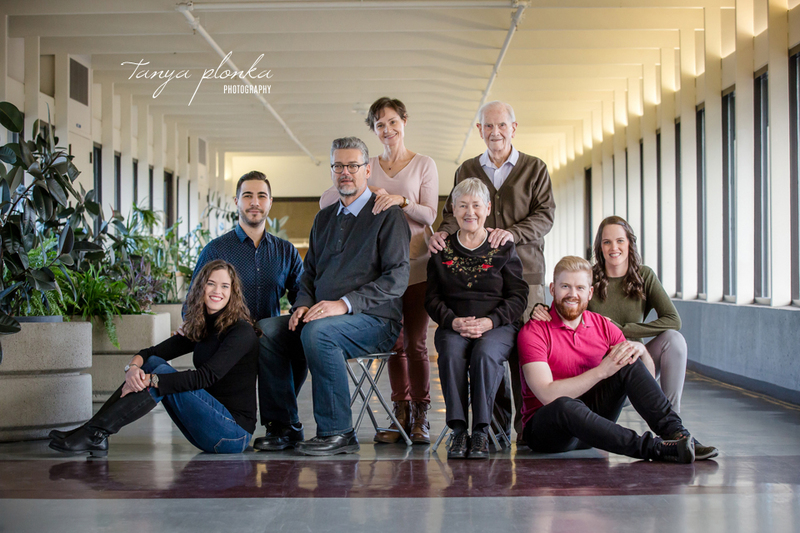 As a special addition to their Lethbridge pink blossom family mini session, Grandma and Grandpa came along for a few photos. Kalina hardly left her grandma’s side, leading her around by the hand whenever they weren’t in photos together. Their grandparents were masters at getting them to laugh! 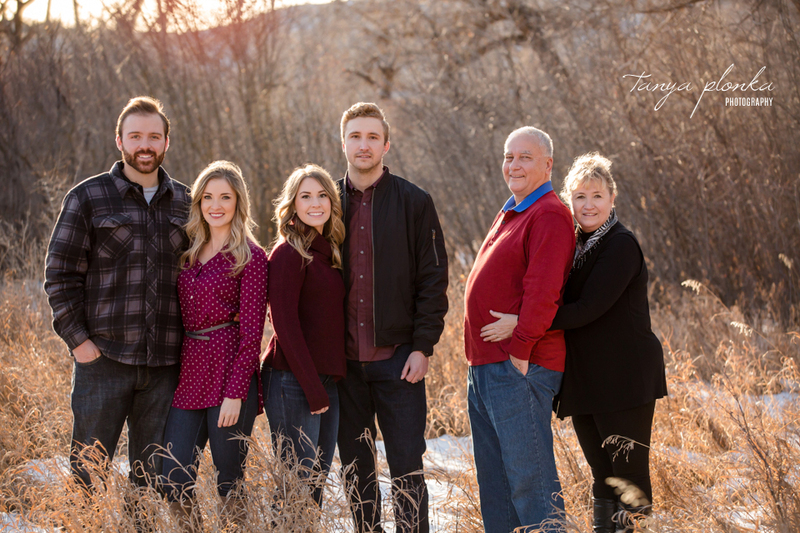 This Indian Battle Park extended family photography session was a Christmas gift that was meant to take place outdoors back in December, but it was -30C the entire time the family was together! They made the wise decision to postpone until spring when everyone could actually be happy and comfortable in the photos. After a heavy rainfall earlier that day, everything was so green and fresh in the river bottom! Three generations got together for this family session. 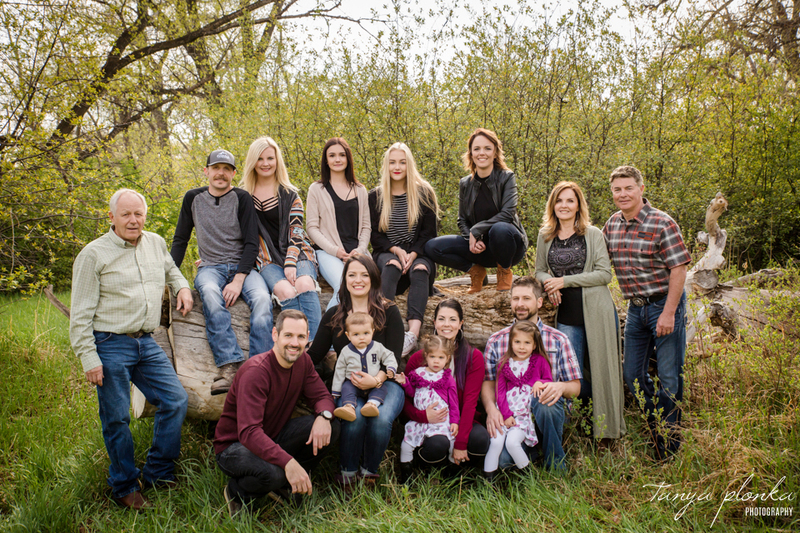 The middle generation are part of a blended family, so they had both sets of their parents involved. Without my handy list of how everyone is related, it would have been impossible to tell sibling from cousin, sister from step sister, etc. Even all of the people who married into the family get along so comfortably with everyone that it’s hard to tell who is the sibling and who is the spouse! Everyone makes up one tightly knit family despite moving away, having children of their own, and seeing less of each other. This was such a great environment for the little kids who were happy to run to anyone there for comfort! Kysen did great at his first ever photoshoot! The newborn baby boy slept through the first half of his photography session and then watched with attentive bright eyes at the end. He loved getting snuggles from his mom and dad. A quick cuddle would instantly calm him down whenever needed. This worked out perfectly in our favor to get him juxtaposed with his dad’s tattoos! To celebrate Shirley’s birthday, her children planned a much needed update to their family photos. We ventured out in the warm Lethbridge winter air (warm, at least, for January) in Indian Battle Park, braving the mud and wind from the week’s Chinook. Her and Kevin’s family is adorable. I appreciated how welcoming they were of the million times I made them hug each other! Shirley and Kevin were even willing to kiss in front of everyone!